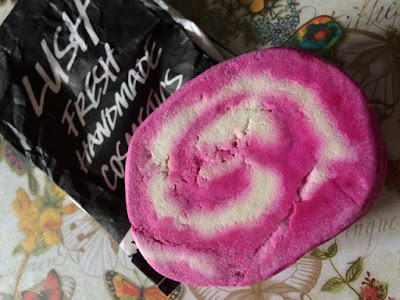 Today's review is on The Comforter bubble bar from lush. 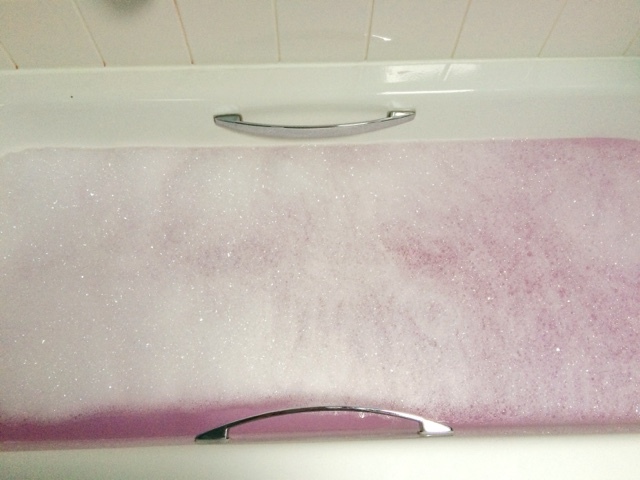 This bubble bar is quite simply my favourite. Why? Well you are about to find out! This bubble bar is absolutely fantastic. Not only does it smell amazing (which it really really does) but it looks good too. 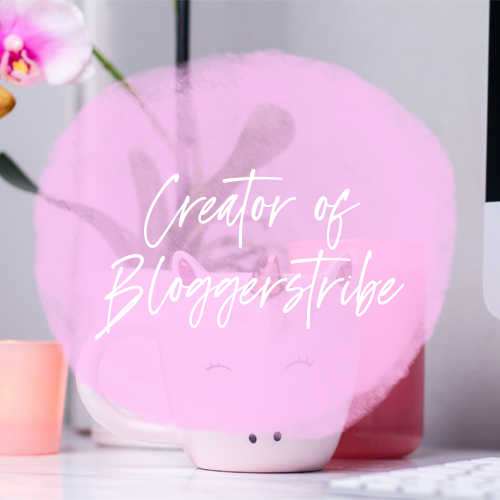 I love that it is pink and white! 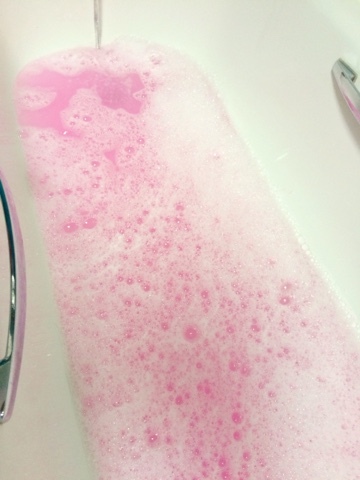 It's quite a bold pink at that which makes your bath water a lovely shade of pink. The smell to me is just heaven, it smells like a dream. It is a nice light, fruity, clean smell. It just screams "Relax" at me. When I first saw this bubble bar, my eyes were fixated. Since I was 10 years old I was buying "White Fluffy Clouds and Blue Skies" Bubble bar, So when I was going to lush to buy stuff for my bath so many years ago (I'm not sure how long ago) that is exactly what I thought I would be buying. Oh how wrong, I waked into the shop and I spotted The Comforter. 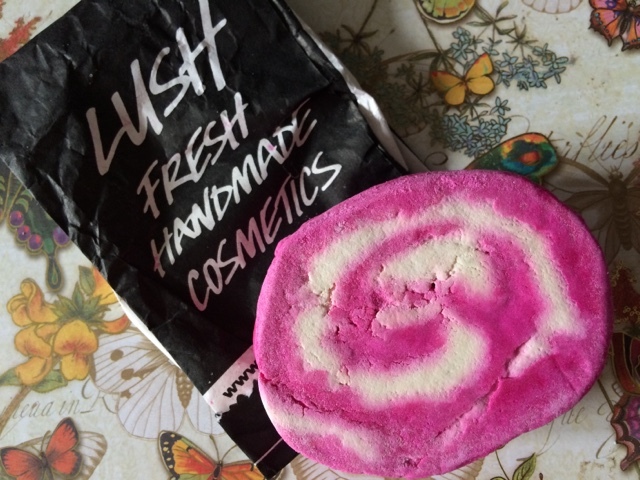 One bubble bar I had never seen before, This definitely meant I had to buy it and ever since then this product has became my absolute favourite bubble bar. I bought this bubble bar in April to put in my Lush box, I already had one in it but I was just about to open it and use it so I really needed a new one so I didn't run out! (I really have a fear of running out of this product). This is me now just getting round to using it and yes I also have another one for when this one is all used up! 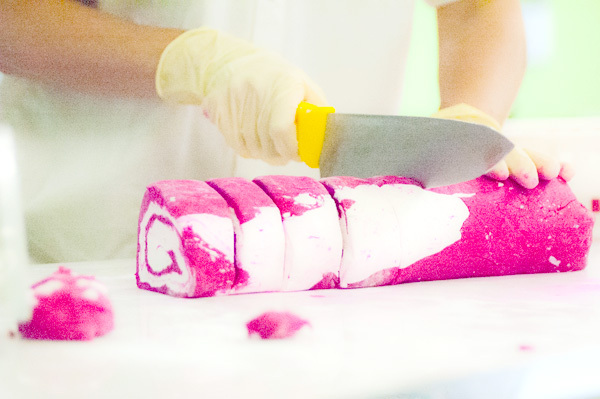 With this bubble bar it's large so that you only need to use half of it at a time. Although the instructions are to crumble half of it under running water I have always used a knife and shredded it into the water. I don't like a lot of bubbles in my bath so that's why I don't use half at a time. I get up to 12 uses out of this bubble bar from the way I use it. I have a little knife that I keep in the bathroom cabinet for using with my bubble bars, well the large ones anyway. 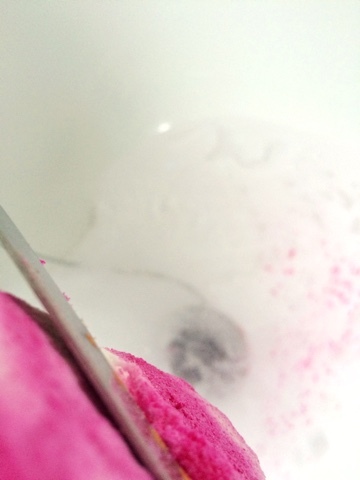 As you can see in the photo above I just scrape the bubble bar with the knife as if I'm grating it. This is what it looks like when I have finished putting the amount I want in my bath. 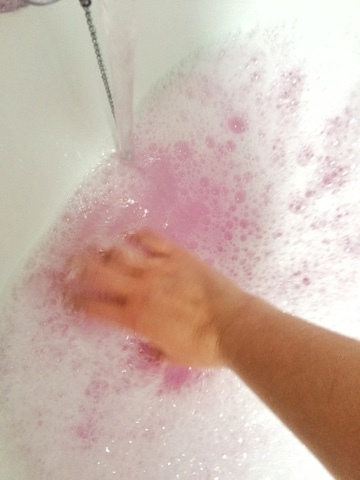 The water starts going pink and bubbles start to form. 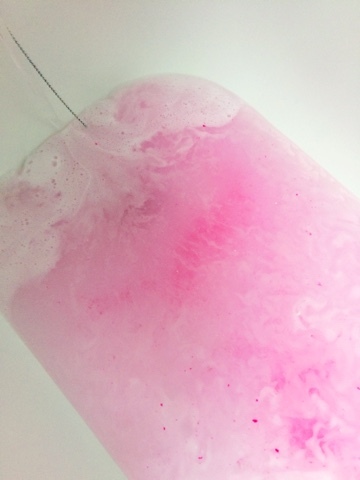 My bath water then goes a lovely shade of pink all over, it smells amazing and when I get in, the water feels so silky smooth. Like with most lush products, I am not disappointed at how amazing my bath turns out to be. I absolutely adore how amazing my skin feels when I'm in the bath. It's so smooth, the water has such a nice texture to it if that makes sense. I really love just laying and relaxing in my baths, with nice aromas and bubbles in candle light and that's why I really like this bubble bar, it creates a sense of relaxation for me. What is also great about this product is that it doesn't leave any residue on the bath once the water has drained away which is a added bonus. I would definitely recommend this to anyone who wants a lovely aesthetically pleasing bath with a sense of relaxation. I have bought every one of my friends this at some point as a present because I just want my friends to love it as much as I do. I also bought my gran it when I got myself one at the beginning of the year and here is a little paragraph about what she thought of it. Gran - "This bubble bar is lovely but I will always favour White fluffy clouds and blue skies but when I feel the need to change it up a bit I will be using this bubble bar for sure. The smell is really nice and it creates bubbles that last the whole bath. Any time I see Jordanne running a bath with this in it I admire how great the bathroom smells. It really is a nice product"
The price is also a great thing about this product. For £4.75 you get a very generous amount of product meaning it lasts forever and it doesn't cost an arm and a leg to get. For this you get a great quality product that is also full of amazing ingredients that DOES NOT test on animals. 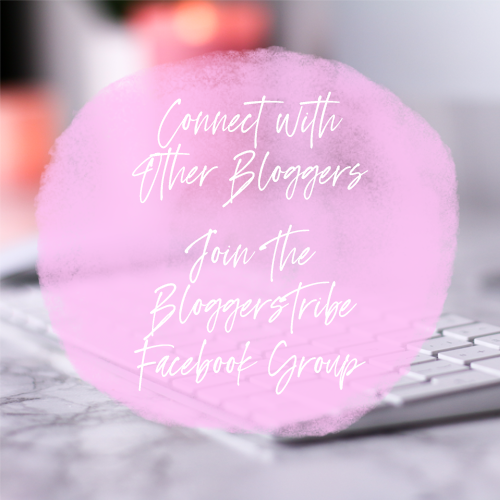 All in all The Comforter lives up to its name for sure! I always come out my bath feeling like I have regained a bit of sanity again. 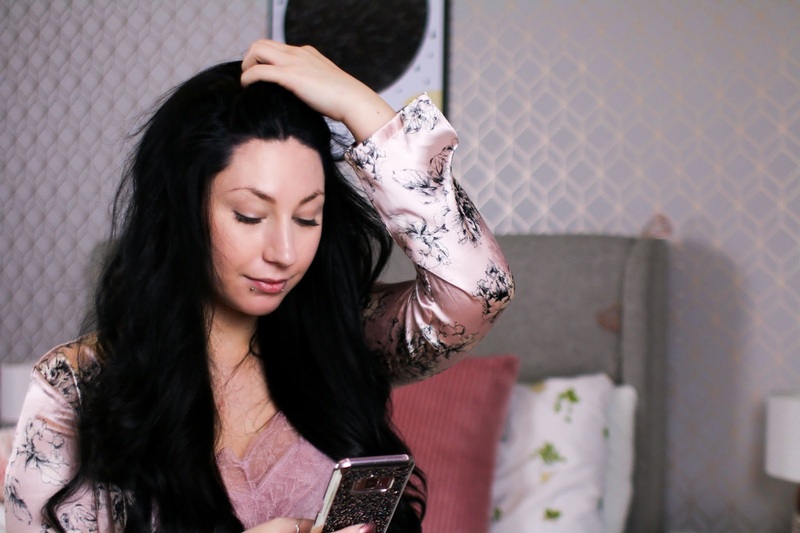 When you are a busy mother, always on the go and looking for any chance to relax this product does the trick.